Media whether its contains wires or it is wireless allows two or more people to communicate with one another without being physically present (William.B & Sawyer.S, 2007. Using Information Technology. The McGraw-Hill Publishing Inc: New York). Prior to the technological age there were only two types of media we could use to communicate. These two types of media were radio and the telephone. This communication takes place as channels carry signals through a path ((William.B & Sawyer.S, 2007. Using Information Technology. The McGraw-Hill Publishing Inc: New York). ). In order for this traveling signal to take place there are three types of media that are used to facilitate communication. A twisted pair wire is a copper wire that connects your personal computer at home or at work to the telephone line (http://searchnetworking.techtarget.com/sDefinition/0,,sid7_gci213234,00.html). It is called a twisted wire because two wires that are insulated to prevent wirecrossing are twisted together. Have you ever been on the phone to a friend and all of a sudden you pick up someone elses conversation? Many of you have and this may be due to a snag or untwist of the twisted copper pair wire. The insulation and twist help reduce the telephone lines from crossing (William.B & Sawyer.S, 2007. Using Information Technology. The McGraw-Hill Publishing Inc: New York). Since the twisted pair wire is made of copper it is deemed to be the least expensive media communication tool (http://www.tpub.com/content/istts/14224/css/14224_28.htm). The frequency at which it carriers communication signals is relatively slow in comparison to the other medias averaging at carrying data at 1-128 megabits per second (William.B & Sawyer.S, 2007. Using Information Technology. The McGraw-Hill Publishing Inc: New York). ). A coaxial cable is armored cable with a sheathed plastic that contains two concentric conductors or wires. One is typically an inner cooper straight wire covered with a sheathed plastic (insulation) and the second wire is typically a mesh shielding protected with an outer insulation of plastic. It is also known as a co-ax. This design provides the coaxial cable with a special advantage: electrical interference is reduced because the two conductors are shielded and confined separately. Its main uses are in transmission lines to carry signal or data. 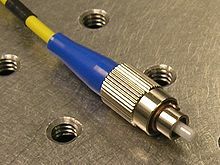 Coaxial cables are used primarily for TV standard-definition connection to transfer television signal, and for computer network (internet connection) such as Ethernet to carry data. Because is much less susceptible to interference, it might carry much more data. Also, it is used to carry radio signal, video signal, and measurement signal. Computers, peripherals and other equipment in your home maybe linked in a home network. Given the geographic proximity of these in the same building, it is possible to connect the many devices using Local Area Network (LAN) technologies. Furthermore, this connectivity has traditionally been achieved through wired technologies such as Ethernet, HomePNA and HomePlug. The following discussion will focus on the Ethernet for home networks. The latter two, HomePNA (HPNA) and HomePlug, utilize the home’s existing telephone or electrical wiring, respectively, for the basis of the home network. A home network which relies on Ethernet, however, requires a common “medium” or cables and, depending upon desired transmission speed and number of units or interconnections required, as well as the selected network “typological configuration and structure”, wired LANs or Ethernet segments generally also require central devices such as a “repeater” (or hub), a bridge, a router and/or switches (Williams, B.K. & S.C. Sawyer, 2007, Using Information Technology: A Practical Introduction to Computers & Communications, 7th ed., Montreal: McGraw-Hill Irwin, p. 326; http://computer.howstuffworks.com/ethernet6.htm, http://computer.howstuffworks.com/ethernet4.htm, http://webopedia/com/TERM/E/Ethernet/html, http://www.freesoft.org/CIE/Topics/59.htm, Mitchell, B. @ http://wireless/about/com/cs/homenetworking/a/homewiredless.htm and http://www.cisco.com/univercd/cc/td/doc/cisintwk/ito_doc/ethernet.htm#wp1026438 All Retrieved Nov 22, 2006). Ethernet adapter cards are relatively inexpensive, but most computers are equipped with Ethernet capabilities, thereby eliminating the need for this internal hardware purchase. Hubs also add little to the cost of each connection (Gilbert, H. @ http://pclt.cis.yale.edu/pclt/COMM/ETHER.HTM Retrieved Nov 22, 2006). Therefore, despite the need for cables and additional central devices or unit requirements, Ethernet is still a relatively inexpensive high speed LAN alternative that also offers superior performance and reliability. Although wireless technology is gaining in popularity, “… wired Ethernet has been the traditional choice in homes …” (Mitchell, B. @ http://wireless/about/com/cs/homenetworking/a/homewiredless.htm Retrieved Nov 22, 2006). In fact, it has “… survived as the major LAN technology (it is currently used for approximately 85 percent of the world’s LAN-connected PCs and workstations …” (http://www.cisco.com/univercd/cc/td/doc/cisintwk/ito_doc/ethernet.htm#wp1026438 Retrieved Nov 22, 2006) and is “… an international industry standard …” (Bellis, M. @ http://inventors.about.com/library/weekly/aa111598.htm Retrieved Nov 22, 2006). Several types of cabling may be used to attach Ethernet devices, but a common medium must be provided as a path for the electronic signals. Historically, the medium was coaxial copper cable, but twisted pair or fiber optic cables are more common today (Pidgeon, N. @ http://computer.howstuffworks.com/ethernet9.htm Retrieved Nov 22, 2006). These cable options have been discussed in greater detail above and a brief summary of Ethernet Cabling has been provided at http://www.freesoft.org/CIE/Topics/59.htm (Retrieved Nov 22, 2006). Type of media segments supported by Ethernet and the design rules have also been summarized at http://www.erg.abdn.ac.uk/users/gorry/course/lan-pages/enet.html (Retrieved Nov 22, 2006). Ethernet was “one of the pivotal technologies that made Local Area Networks possible …” (http://www.freesoft.org/CIE/Topics/60.htm Retrieved Nov 22, 2006). There appears to be little dispute as to Robert (Bob) Metcalfe’s role in developing the first Ethernet network for Xerox Corporation and, despite changing technologies in computer networking, its operational mechanics still stem from his original design (Pidgeon, N. @ http://computer.howstuffworks.com/ethernet3.htm Retrieved Nov 22, 2006). Its development was spurred by Xerox’s desire to share or network very expensive printers – most notably, the world’s first laser printer – at the company’s Palo Alto Research Center (PARC), thus enabling all their computers to print with this particular one (Bellis, M. @ http://inventors.about.com/library/weekly/aa111598.htm Retrieved Nov 22, 2006). This original method of cabling was developed as an “… experimental coaxial cable network … to operate with a data rate of 3 Mbps using a carrier sense multiple access collision detect (CSMA/CD) protocol for LANS with sporadic by occasionally heavy traffic requirements (http://www.cisco.com/univercd/cc/td/doc/cisintwk/ito_doc/ethernet.htm#wp1026438 Retrieved Nov 22, 2006). Gilbert (http://pclt.cis.yale.edu/pclt/COMM/ETHER/HTM Retrieved Nov 22, 2006) notes that the term “’Ethernet’ is generally reserved for a system that transmits 10 megabits per second with a round trip delay of 50 microseconds” and while it maybe true in older installations that it is supposed to be “… a single common medium with multiple connections … new desktop installations bring Ethernet … over phone wire and frequently build the spine using fiber optics.” In any case, “’Ethernet’ was a registered trademark of Xerox Corporation … and a second generation called Ethernet II … is often called DIX after its corporate sponsors Digital, Intel, and Xerox” (Gilbert, H. @ http://pclt.cis.yale.edu/pclt/COMM/ETHER.HTM Retrieved Nov 22, 2006). One source indicated that “Ethernet refers to the family of local-area network (LAN) products covered by the IEEE 802.3 standard that defines what is commonly known as the CSMA/CD protocol” (http://www.cisco.com/univercd/cc/td/doc/cisintwk/ito_doc/ethernet.htm#wp1026438 Retrieved Nov 22, 2006). Pidgeon (http://computer.howstuffworks.com/ethernet15.htm Retrieved Nov 22, 2006) explains that “… the term 802.3 [maybe] used in place of or in conjunction with the term Ethernet” and further noted that the term “… refers generically to both the DIX Ethernet implementation and the IEEE 802.3 standard” (http://computer.howstuffworks.com/ethernet9.htm Retrieved Nov 22, 2006). This all stems from the fact that the IEEE (Institute of Electrical and Electronics Engineers) created the so-called 802 working group or committee – named after the year and month of its formation (i.e., February 1980) – assigned with the task of developing formal international standards for all Local Area Network technology and, as a result, established various subcommittees to address different aspects of networking and in someway standardize network technologies (Gilbert, H. @ http://pclt.cis.yale.edu/pclt/COMM/ETHER.HTM and Pidgeon, N. @ http://computer.howstuffworks.com/ethernet14.htm Both Retrieved Nov 22, 2006). The subgroup, 802.3, approved the draft standard in 1982 and published the official standard (i.e., ANSI/IEEE Std. 802.3-1985 – Hardware standards for Ethernet cards and cables) in 1985 and has subsequently added supplements to the standard in keeping with technological improvements, added network media, increased data rate capabilities and new network access features (http://www.cisco.com/univercd/cc/td/doc/cisintwk/ito_doc/ethernet.htm#wp1026438 and http://www.erg.abdn.ac.uk/users/gorry/course/lan-pages/enet.html Both Retrieved Nov 22, 2006). In sum, the IEEE essentially “… standardized the operation of a CSMA/CD network that was functionally equivalent to the DIX Ethernet” (Pidgeon, N. @ http://computer.howstuffworks.com/ethernet14.htm Retrieved Nov 22, 2006). Cisco Systems, Inc has presented a more in-depth and technical look at Ethernet. They have included topics such as the background and history of Ethernet technologies, network elements (node classes), typologies and structures, the ISO Reference Model, MAC sub-layers (frame format and their fields, frame transmission, access rules and access methods, flow control, frame reception, and tagging options), physical layers (signal transmission encoding and methods), and system considerations http://www.cisco.com/univercd/cc/td/doc/cisintwk/ito_doc/ethernet.htm#wp1026438 (Retrieved Nov 22, 2006). In almost one decade, fiber optic has become one of the most technological advances to transmit information. This innovated material has revolutionized the processes of the telecommunication. The modern telecommunications use electricity, light or radio to send sounds, images and data. The fiber optic, instead of propagating sound waves, transmits data in form of light pulses with the great advantage which the luminous pulsations are transmitted without interruption. The transportation of information is by light waves not by electricity, this avoid the interefence of electrical noise and degradation of the signal. In conclusion, it is a medium for carrying data in the form of light. The fiber optic consist of one or several thin fibers of glass or plastic of 50 to 125 micrometers of diameter, we can say that it more or less of the thickness of a hair. The fiber optic cable is made up of a cylindrical region called nucleus, through the light is propagated, the external zone of the coaxial nucleus is called coating. This coating is a plastic cover or made of other materials that protect it against the humidity. Multimode step-index fiber: is used in the conventional transference of images, as well as in the data transmission in short distance. Multimode grated-index fiber: the refrective index of nucleus gradually diminishes from center toward outside. This is optimal for intermediate distance. 2) single-mode fiber: is used for long distances and for the great speed in the transmission of the data. Communications networks are not the only ones who uses fiber optic. Nowadays in medicine this technology is used. The fiber optical is used in the surgeries, letting the doctors perform surgical operations with laser, they are faster and with reduced risks and complications. Today there three types of wired media now, fiber-optic, coaxial, and twisted pair. The primary advantage of a fiber-optic cable is speed and has been steadily increasing on the capacity to handle more data on the same medium. However the expense of this convenience can be a bit high. Not particularly for the cable, since it is silicon based, but for the installation and necessary hardware, like converters or repeaters. Japan was at forefront of fiber-optic cable use but today these are present in most cities all over the world, and as fiber-optic cables become more common general prices will come down. This page was last edited on 4 March 2019, at 23:09.